Sometimes, I just have this urge to get up and do as many pull-ups as possible, until I black out. There’s something compelling about pull-ups and later on, muscle ups. But when this urge calls, you better have a chin up or pull up bar right next to you. If you don’t want to or simply can’t mount a pull-up bar directly to the wall, the next best solution is a power tower. But, if you are considering purchasing a power tower, which one should you get? There is so many of them out there. But fear not, that’s why I keep reviewing them – to help you guys sort out the details. Today, we will be reviewing one of the newer ones – The NextTechnology Power Tower. 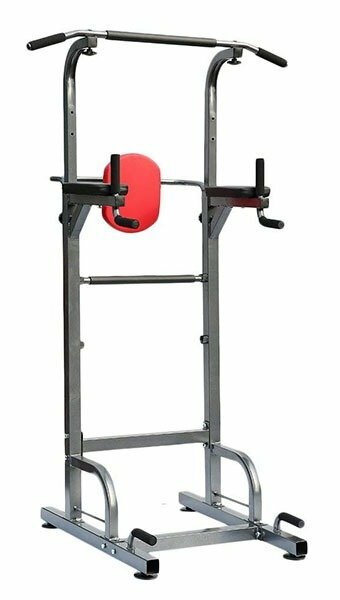 NT Power Tower, or also known for its ridiculously longer name – NextTechnology Power Tower Heavy Duty Pull Up Dip Station – is one of the best out there, or so they say. 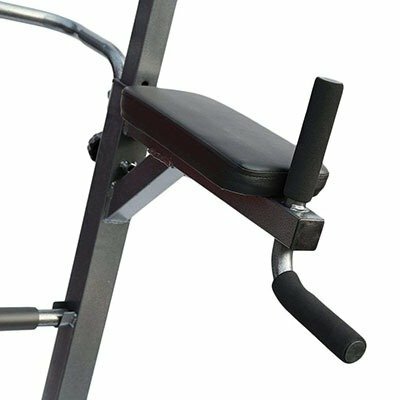 According to the manufacturer, it is designed specifically for home gym use, so no public gyms. This is primarily reflected on the price – the power tower is very affordable. It can support up to 330 lbs, which is not great, but considering it its lightweight, it is not bad either. One thing that I noticed is that the packaging was not very good. It came quite battered and I could clearly hear the hardware parts moving up and down. Although to be fair, this could have been caused by the postal service and not by the manufacturer. The dimensions of the package were 56.3” x 24.2” x 4.3” (1430 x 615 x110 mm). The package included the power tower station, hardware set and a manual. The manual of NextTechnology power tower is quite thorough and it is possible to put it together on your own and should not take more than one hour. First thing that I’d like to point out is that despite its steel frame and sturdy construction, this power tower is not meant for bulkier or heavy people. As some of you may know, my current weight is 158 lbs, which is not much, so the power tower is perfect for me. 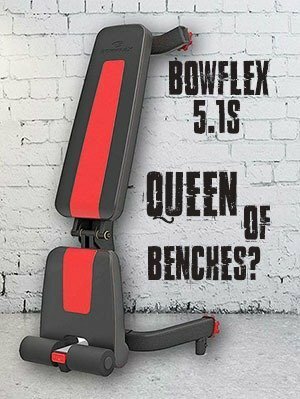 But the max support is only 330 lbs, which means heavier people, or people who plan to use heavy-weight plates with a dipping belt need to watch out for this. The curved chin up bar is very solid and comfortable on palms, which is a plus. The bar ends with curved handles, covered in foam, which offers great comfort. Since the entire tower weights only 55 lbs, you might consider attaching it to the ground if you plan to do muscle ups, since without the attachment, it will be rocking even on even floor. Regarding the dip station, the handles could be longer a bit. They might be quite short for guys with bigger hands. The width of the dip station is 24 inches. The back-pad is large enough, cushioned and comfortable, along with the armrests. No problem with all kinds of lower-abs workouts and vertical-knees exercises. Great bonus comes in a form of push-up bars at the bottom of the power tower. While they are not adjustable, you can do some great tricep-focused push ups. Those would by mine pros and cons. Would I recommend this power tower? If you are not 250 lbs + who plans to use heavyweight plates on a dip belt, then yes, I would definitely recommend it. It is a great tower with reinforced steel structure, where you can do a hell lot of exercises.